Eschew the tourist crowds and head to Strand and Saint Petka's Chapel. Get some cultural insight at Trg Republike and Skadarlija. Get out of town with these interesting Belgrade side-trips: Sremski Karlovci (Karlovacka gimnazija, Orthodox Cathedral of St Nicholas, & more), Sremska Mitrovica (The Special Nature Reserve of Zasavica & Special Nature Reserve Obedska Bara) and Winery Despotika (in Smederevska Palanka). There's much more to do: brush up on your military savvy at Military Museum, get a taste of the local shopping with Knez Mihailova, steep yourself in history at Oplenac, and see the interesting displays at Muzej Nikole Tesle (Nikola Tesla Museum). 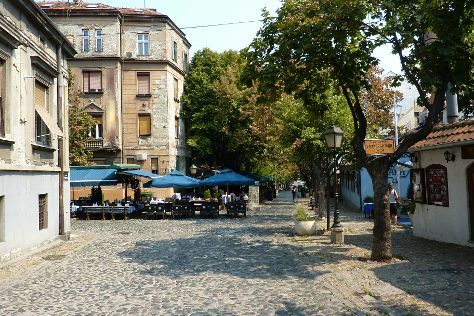 To find reviews, where to stay, and tourist information, read our Belgrade travel route planner. If you are flying in from Turkey, the closest major airport is Belgrade Nikola Tesla Airport. January in Belgrade sees daily highs of 5°C and lows of -2°C at night. Wrap up your sightseeing on the 1st (Fri) to allow time to travel back home.